ESO Supernova Exhibition — Why did James Bond visit ESO? Why did James Bond visit ESO? ESO’s Headquarters here in Garching, the Residencia at the Paranal Observatory, and even the Supernova building around you — they’ve all been designed by visionary architects, with a link to the cosmos in mind. 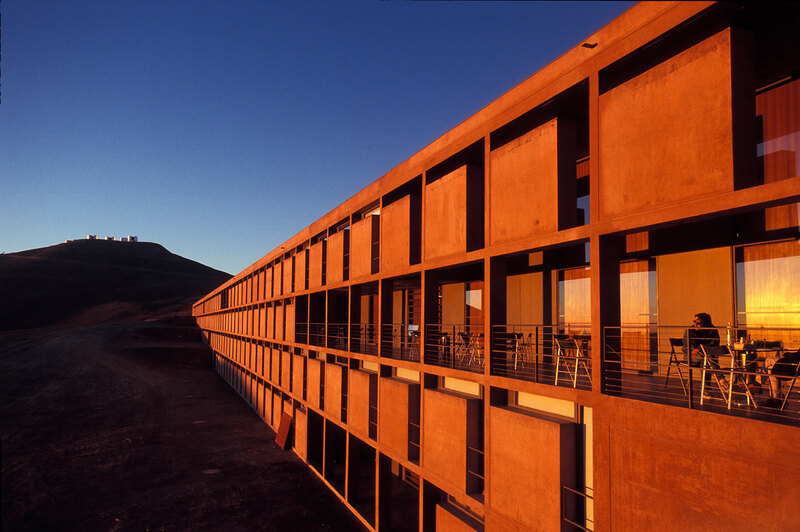 Sunset wall: Astronomers enjoy great sunset views from their balconies in the hotel at Paranal: the Residencia. The hotel is a true oasis in this barren desert. Shaken, not stirred: British actor Daniel Craig shook up the Residencia during filming for the 2008 James Bond movie Quantum of Solace. Circles and spheres are recurring shapes in the Universe. Daring architects took inspiration from the curves of the cosmos in designing ESO’s main buildings. For instance, neither ESO’s Headquarters nor the ESO Supernova building you’re currently visiting has any right angles. The futuristic Paranal Residencia features prominently in the James Bond movie “Quantum of Solace”, and the ALMA hotel has its own special character. Even ESO’s colonial Santiago Guesthouse is a piece of architectural art. Colonial panorama: The atmospheric ESO Guesthouse in Santiago de Chile welcomes astronomers after a tiring flight from Europe. 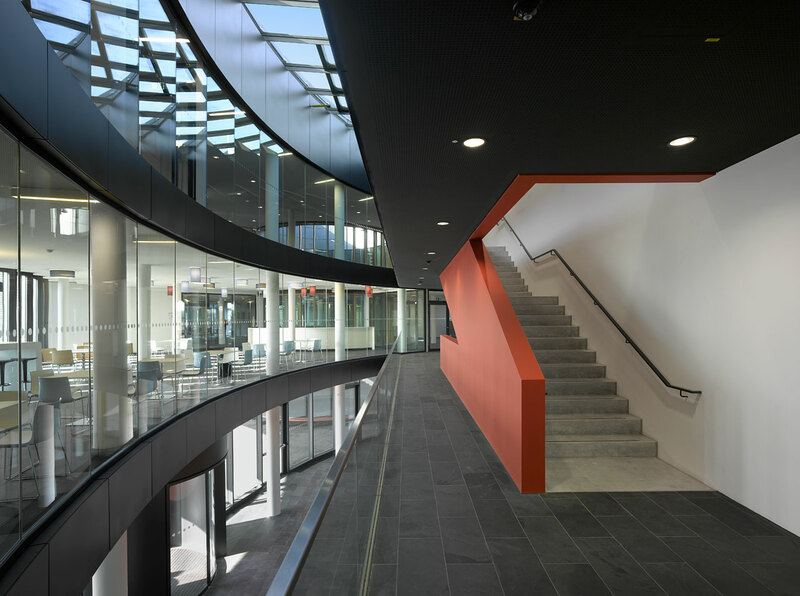 Beam me up: The ESO Headquarters Extension building resembles a futuristic space station: all black and white, apart from one red stairway reminding of the Atacama Desert. Explosive design: The striking ESO Supernova Planetarium & Visitor Centre was designed with a merging binary star, shortly before it goes supernova, in mind. It’s mainly about telescopes, but ESO’s buildings are special, too. So special, in fact, that one of them served as a backdrop for a James Bond movie! And what about the building you’re in right now — beautiful, don’t you think?